At least that’s what NPR would have us believe, along with CNN, USA Today and countless other media outlets. According to these sources, ubiquitous Internet availability, along with the ability to shop from smartphones and other mobile devices has closed the gap between Cyber Monday and the days on either side of it. This is compounded by the fact that Black Friday no longer starts on Friday. Yours truly was in line at 6:30 PM Thursday night because Black Friday started at 9 PM on Thursday in my town. This has caused online retailers to follow suit – the online deals are available Thursday, too. Waiting until Monday will only get you disappointment. The simple fact is, people are doing more shopping on days other than Cyber Monday. Now this doesn’t mean that Cyber Monday is going away. 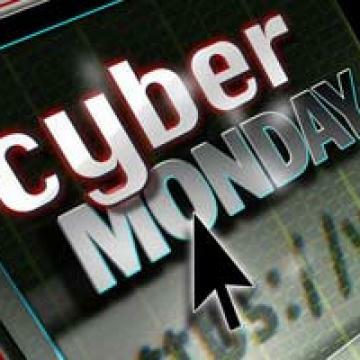 In fact, sales for Cyber Monday are growing rapidly year over year, and 2012 is expected to trump year’s past by 16.8%. The opportunities are boundless, for retailers and fraudsters. But a dead or dying Cyber Monday could have both positive and negative effects for security awareness. On one hand, a special day tends to generate special behaviors. I might argue that awareness is heightened on Cyber Monday because it has a name, the media promotes it, retailers advertise it, banks warn of it. When one dies, so does the other. But the reality it that your payment card information is just as likely to get jacked on Wacky Wednesday or Filthy Friday. Security is a process, not a moment in time. Only Use Secure Sites – Check for HTTPS, the lock and a valid certificate before you enter any information, and certainly before you check out. Only Use Reputable Sites – Just because #1 is true doesn’t make it safe, don’t give your money to a stranger just because they handle it properly. Only Use a Credit Card – Don’t use a debit card, it does not offer the same protections as a credit card, and if the number is stolen it’s one step closer to your bank account. Check Out as a Guest – Don’t create an account with online retailers unless you have to, this may help you avoid storing your payment card information online. Check Your Statements – As silly as this sounds, this is one of the easiest ways to tell if you’ve been compromised. We all shop online. It’s convenient, easy and usually saves you some coin. And if you’re careful, Cyber Monday doesn’t have to be as black as your Friday. Thanks for the article. We all need to be more proactive about our personal account security. One thing you failed to mention is taking advantage of the 2FA (2-Factor Authentication). Although it’s been around for a while, more and more sites are starting to offer and promote this option. 2-Factor Authentication to complete a transaction while shopping online wins every day. I feel suspicious when I am not asked to telesign into my account by way of 2FA, it just feels as if they are not offering me enough protection. I know some will claim this make things more complicated, but the slight inconvenience each time you log in is worth the confidence of knowing your info is secure. This should be a prerequisite to any system that wants to promote itself as being secure. I wish more merchants offered support for multi- factor. Perhaps Santa will bring us some this year.